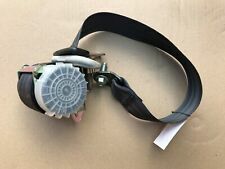 2013 MK1 Nissan Juke REAR SEAT BELT REEL RH Drivers Side. Part Number - 619870600D There are some age related marks and dirt marks (see images) Please make sure part is correct before purchasing. We try to describe our parts as honestly as we can, however please also see our images in case we have missed anything. Any questions please ask. International buyers please contact us for price and availability of postage to your location. Removed from below vehicle -. NISSAN LEAF. SEAT BELT REAR LEFT. Engine by NISSAN. N/S PASSENGER SIDE. Paint code. We are also not responsible for installation errors, labor expenses, or any other expenses that may occur. ASK FOR DETAILS. GENUINE NISSAN LEAF. REAR SEAT BELT BUCKLE. PASSENGER LEFT SIDE. We are also not responsible for installation errors, labor expenses, or any other expenses that may occur. Details : NISSAN NAVARA DOUBLE CAB DI SWB Seat Belt Mk1 (D22)NAVARA 2005. 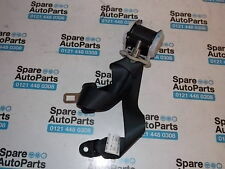 NISSAN NAVARA DOUBLE CAB DI SWB Seat Belt Mk1 (D22) 97 98 99 00 01 02 03 04 05 06 07. NAVARA 1997 -2007 Mk1 (D22). Vehicle Details : 2005 NISSAN NAVARA DOUBLE CAB DI SWBNAVARA 2005. This part was removed from a 2003 model and the part number is:88844BM405. Wing Mirror. The rest of the World = £23.65. Helpful information :- We believe this part fits models from 2000 to 2006. Make: NISSAN Model: MICRA. WARRANTY: All used parts are fully tested and working before removal from the donor vehicle. THE COMPATIBILITY TABLE AND DATE RANGES GIVEN ARE TO BE USED ONLY AS A GUIDE. Year Range: 2003-2008 Colour: GOLD. PART NUMBER:33057361. Cash on collection is also available. Removed from a 2003 NISSAN X-TRAIL 2184cc. FOR YEARS: 2001, 2002, 2003, 2004, 2005, 2006, 2007 (2003). We Do Not Cover Any Labour Costs Involved With Fitting Or Removal Of Any Parts. We do not cover labour Costs. Removed from: Nissan Pathfinder 2005. Item: Passenger side Rear Left seat belt buckle ( 2nd row ). Nissan Specialist Dismantler. Up to 12 months warranty. Key Features Fuel Type Body style For parts incorrectly supplied or unwanted parts we must be notified within 48 hours. Need Help?. Wheel size. 619870600D;. 2014 NISSAN JUKE which we are dismantling. JUKE 2010 -2015 Right Rear Seat Belt. NISSAN JUKE Front Seat Belt. Colour Purple. The Part imaged and described is th eactual part you will recieve. 2008 NISSAN MICRA MK3 K12. SEAT BELT FRONT PASSENGER SIDE. UK MAIN LAND ONLY ! OPENING HOURS 3 DOOR HATCHBACK. GOOD QUALITY SECOND HAND CAR PARTS. I'M TRYING TO GIVE AS MUCH INFORMATION AS I CAN. Removed from a 2003 NISSAN MICRA 1240cc. FOR YEARS: 2002, 2003, 2004, 2005, 2006, 2007, 2008, 2009, 2010 (2003). Warranties cover Parts Only and only apply if parts are fitted by a recognised independent specialist or approved dealer. GENUINE NISSAN LEAF. SEAT BELT REAR. LEFT N/S PASSENGER L/H SIDE. We are also not responsible for installation errors, labor expenses, or any other expenses that may occur. FOR YEARS: 2003, 2004, 2005, 2006, 2007, 2008, 2009, 2010 (2010). OUR REF: 1446-141118230209329. NISSAN NOTE E11 DRIVER SIDE FRONT SEATS BELT. GENUINE PARTS IN GREAT CONDITION. REMOVED FROM NOTE 2008 E11. FREE POSTAGE!!! THANKS. REMOVED FROM:2004 2.5 L PETROL NISSAN X TRAIL 5 SPEED MANUAL. D/S/F SEAT BELT CLIP. MILEAGE:80,000. BELT FOR THE PASSENGER SIDE REAR SEAT. THIS DOES NOT INCLUDE NI, ROI, HIGHLANDS OR OFFSHORE ISLANDS. Item Specifics:2001-2007 - MK1 - 5 DOOR - ESTATE - RIGHT REAR - SEAT BELT STALK - TWIN - PART NO 040319C2X. X TRAIL 2001 -2007 Mk1 Rear Right. Part:Seat Belt Stalk. This Seat Belt Stalk was removed from a2004 car and has been fully inspected. USED CONDITION SEE PICS TO MAKE DECISION. PART NUMBER: 7P1030-P. All our used parts are in good condition(unless stated otherwise) and are tested prior to dispatch. DOES NOT INCLUDE STALK. THIS DOES NOT INCLUDE NI, ROI, HIGHLANDS OR OFFSHORE ISLANDS. BELT FOR THE DRIVER SIDE REAR SEAT. THIS DOES NOT INCLUDE NI, ROI, HIGHLANDS OR OFFSHORE ISLANDS. 2008 MK2 Nissan Navara D40 FRONT SEAT BELT REEL RH Drivers Side. OE Factor Number - H6884EB30B. There is some age related marks (see images) Please make sure part is correct before purchasing. We try to describe our parts as honestly as we can, however please also see our images in case we have missed anything. Any questions please ask. Free Postage (UK MAINLAND ONLY) International buyers please contact us for price and availability of postage to your location. Removed from below vehicle -. Part:Seat Belt Stalk. Item Specifics:2003-2010 - 5 DOOR - HATCHBACK - LEFT FRONT - SEAT BELT STALK. This Seat Belt Stalk was removed from a2010 car and has been fully inspected. 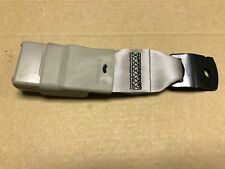 MICRA 2005 -2009 Mk3 (K12) Front Buckle 2 Door Left (Micra C C). This listing is for a Passenger Side Front Seat Belt Stalk LH NS removed from a 2014 Nissan Micra 5 Door Hatchback. The part is in a good used condition and comes with a 90 day guarantee. If you have any questions please send a message / enquiry. For the NISSAN NAVARA D40. BUCKLE P/N E047501 THERE ARE DIFFERENT SHAPES AND THE WRONG SHAPE WILL NOT FIT IN YOUR RECIEVER IN YOUR CAR. Engine warranties are only valid if new cam belts/idlers/tensioners are fitted prior to installation - proof will be required in the event of a claim. REMOVE FROM NISSAN MURANO AUTO 3.5 PETROL,5 DOORS,2007 YEAR,234 BHP,AUTOMATIC GEARBOX,ENGINE CODE VQ35DE,PAINT CODE K21. MY AIM IS TO MAKE SURE YOU ARE ALWAYS 100% HAPPY! WHAT YOU SEE IN THE PICTURES IS WHAT YOU WILL RECEIVE! Removed from a 2003 NISSAN X-TRAIL 2184cc. FOR YEARS: 2001, 2002, 2003, 2004, 2005, 2006, 2007 (2003). Warranties cover Parts Only and only apply if parts are fitted by a recognised independent specialist or approved dealer. NISSAN MICRA K12 2003 TO 2010 REAR CENTRE / MIDDLE SEAT BELT STALK. This fits Nissan K12 /Mk3 2003 onwards. This is for the centre only seat belt. Genuine Nissan. Collection in person is free. Nearside & Centre Rear Seatbelt Fasteners. Qashqai Acenta DCI (MK1 FACELIFT (J10)) (ABS). Electric Front & Rear Windows, Electric Folding Door/Wing Mirrors. The table below contains further information. 2003 MK3 Nissan Micra K12 REAR CENTRE SEAT BELT 3 Door Hatchback Part Number - 88854AX301 Please make sure part is correct before purchasing. We try to describe our parts as honestly as we can, however please also see our images in case we have missed anything. Any questions please ask. International buyers please contact us for price and availability of postage to your location. Removed from below vehicle -. An item has been previously used. PART NO: 88845BM405. NISSAN QASHQAI J10. CENTRE REAR TOP/CEILING SEATBELT. Compatibility list only a guide. Out of hours collections can be also arranged by prior notice. PART NUMBER- 86885. PART(S) FOR SALE- NISSAN MICRA, FRONT SEAT BELT (PASSENGER SIDE). FOR YEARS: 2003, 2004, 2005, 2006, 2007 (2005).